Another way to help people in impoverished places is to support fair trade practices. FTF members foster partnerships with producers, because they know these connections are a highly effective way to help producers help themselves. Fair trade is not about charity. It is a holistic approach to trade and development that aims to alter the ways in which commerce is conducted, so that trade can empower the poorest of the poor. Fair Trade Organizations seek to create sustainable and positive change in developing and developed countries. There’s something so comforting about a warm, spicy cup of tea on an overcast day. 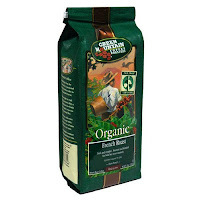 Right now I’m sipping one of my favorites, Red Chai Masala from Organic India. It’s caffeine-free and has rooibos (aka, African red bush) tea, which I’ve read has more antioxidants than green tea. Organic India has a whole line of Tulsi teas — green, peppermint, honey chamomile, lemon ginger, and more — that all contain Tulsi or holy basil. Tulsi is considered “The Queen of Herbs” in India for its healing properties, like immune system support and stress relief. Organic India is dedicated to organic and sustainable farming practices and promoting healthy, conscious living. Learn more about their philosphies here. You can get Tulsi tea here. The position of human beings will improve to the extent that they behave with humility towards others. When I spend my hard-earned dough I’d like to know where it’s going. Who is it benefiting (or harming)? What kinds of resources were used? Is it really worth the price (in terms of labor, effort, materials, etc)? So in recent years, I’ve become really selective about where I shop. As I’ve said before, I avoid the big box and big name retailers (whenever possible) in favor of local, indie biz. Think Etsy vs Banana Republic, eBay vs Crate and Barrel. Of course there are times when it’s really difficult to completely ignore the big boys, like when you need a paper towel holder or new toilet seat. Thankfully it’s getting easier and easier to find alternative sources for goods. Like the new responsible marketplace by eBay, World of Good. They’ve got a pretty big range of fair trade and/or eco-friendly stuff, from clothing and jewelry to furniture and toys. What’s really great is that they break it down in terms of the impact your purchase has. They call this a Goodprint and these are the categories: people positive, eco positive, animal friendly, and supports a cause. It’s feel-good shopping, certified by third parties with their Trustology verification system. Many of their verifiers and sellers have been in the fair trade game for years, including Co-op America and Ten Thousand Villages. Before I started paying attention to what was in everything I consume, I would just use lotion that at the very least claimed to be cruelty free. But these days, that’s not enough. Going forth with the motto “better safe than sorry” I eschew products that have any suspicious ingredients — like sodium laureth/laurel sulfate, parabens, petroleum-based glycerin, etc. 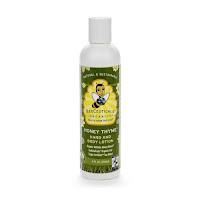 There are two products I switch between to keep my skin good and moisturized sans chemicals: Beeceuticals Honey Thyme Lotion and Burt’s Bees Honey and Orange Wax Lotion. 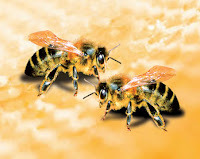 Both of them are contained in fully recyclable #2 plastic, and both support bees — a species integral to the production of the world’s food supply. 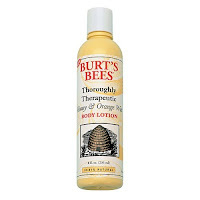 But I do prefer Beeceuticals over Burt’s Bees for a few reasons: better scent, lack of ambiguous “fragrance” ingredient, and texture. It’s been almost 3 years since I “quit” coffee (I might have about 3 cups of decaf in a year when the mood strikes). For some reason, it makes me feel ill, like I’ve taken too many spins on the tilt-a-whirl. Now that I’m a serious tea drinker, I consume at least 3 cups of the stuff a day. Anything from green to white, ginger to chamomile, rooibos to English breakfast, and the occasional chai latte. And it has to at least be organic, and fair trade if I can find it. Chocolate is especially great if it has no baggage. When I get the craving, I try to reach for fair trade and organic chocolate — like Green & Black’s. I just whipped up a batch of dark chocolate cupcakes, using the 70% dark variety of G&B’s. It’s my secret weapon for any chocolate fix. The recipe is at America’s Test Kitchen (you have to sign up for the free newsletter to get it). And don’t forget the dark chocolate butter cream icing. It’s easy to make this whole recipe organic. Just swap out conventional ingredients like flour, sugar, and butter for organic. You can get Green & Black’s at your local supermarket, specialty store, or on Amazon.